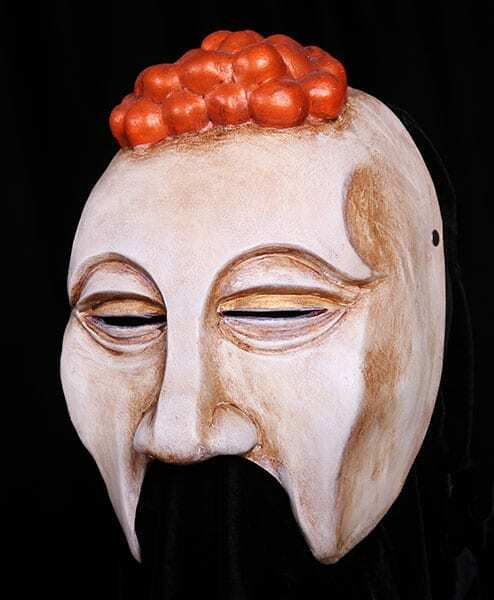 View cart “Greek Chorus Mask 2” has been added to your cart. The old men masks of the Greek comedy in this category can be used as advisors, kings from foreign lands, fathers as well as chorus. These masks were created for old men characters that struggle to solve problems but never seem to find a solution. This half mask is a combination of vanity, fear, jealousy, desire, vanity and scorn. Add Greek Comic 1 to your collection of Greek theater masks. If you don’t see a paint treatment you like ask for another at no extra cost.